‘Tahir spins a captivating, heart-pounding fantasy’ Us Weekly Read the explosive New York Times bestselling debut that’s captivated readers worldwide. 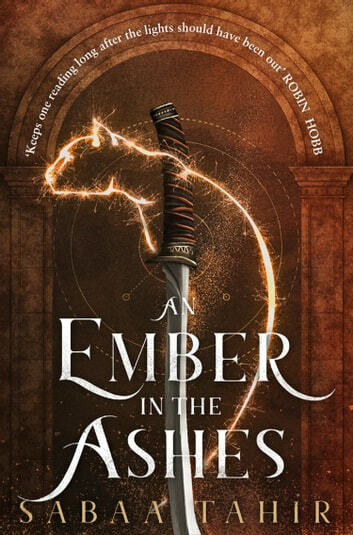 Set to be a major motion picture, An Ember in the Ashes is the book everyone is talking about. What if you were the spark that could ignite a revolution? For years Laia has lived in fear. Fear of the Empire, fear of the Martials, fear of truly living at all. Born as a Scholar, she’s never had much of a choice. For Elias it’s the opposite. He has seen too much on his path to becoming a Mask, one of the Empire’s elite soldiers. With the Masks’ help the Empire has conquered a continent and enslaved thousands of Scholars, all in the name of power. When Laia’s brother is taken she must force herself to help the Resistance, the only people who have a chance of saving him. She must spy on the Commandant, ruthless overseer of Blackcliff Academy. Blackcliff is the training ground for Masks and the very place that Elias is planning to escape. If he succeeds, he will be named deserter. If found, the punishment will be death. But once Laia and Elias meet, they find that their destinies are intertwined and that their choices will change the fate of the Empire. In the ashes of a broken world one person can make a difference. One voice in the dark can be heard. The price of freedom is always high and this time that price might demand everything, even life itself. I enjoyed the book. 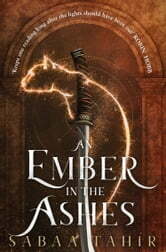 If you like fantasy adventures you will too. I do not like being told how many characters my review must contain. I'll read this again one day. I couldn't put it down. Thought I'd hate the violent birds, but the interest in the story carried me on. When are the sequels coming out? I want to read them. Couldnt put this book down. Loved the strong female characters balanced by great male energy, action and training /fighting. On the edge of your seat from start to finish through all the twists and turns. I can’t wait to read the next thrilling book in this series. This book was amazing! The world they live in is so complex and just wrong, but the story is captivating. I didn’t want to stop reading! I need the next one to see where it goes.